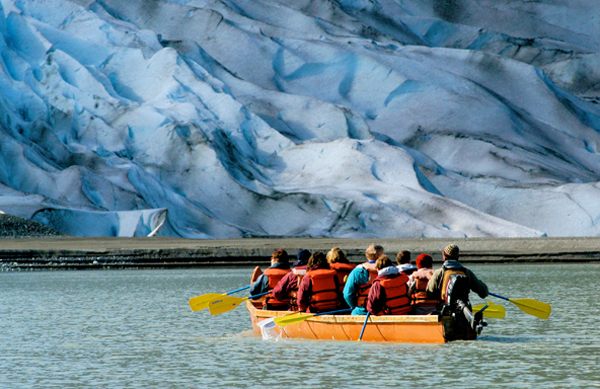 Join Stitchin' Heaven and friends on a 7-night Alaska Sawyer Glacier Cruise! 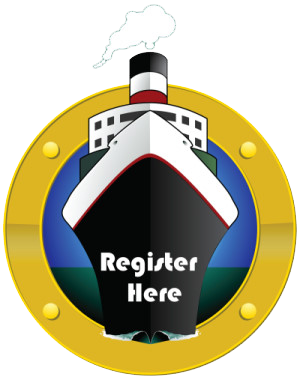 Cruise and learn from quilting experts: Tiffany Hayes, Heidi Pridemore, and Nancy Raschka-Reeves. 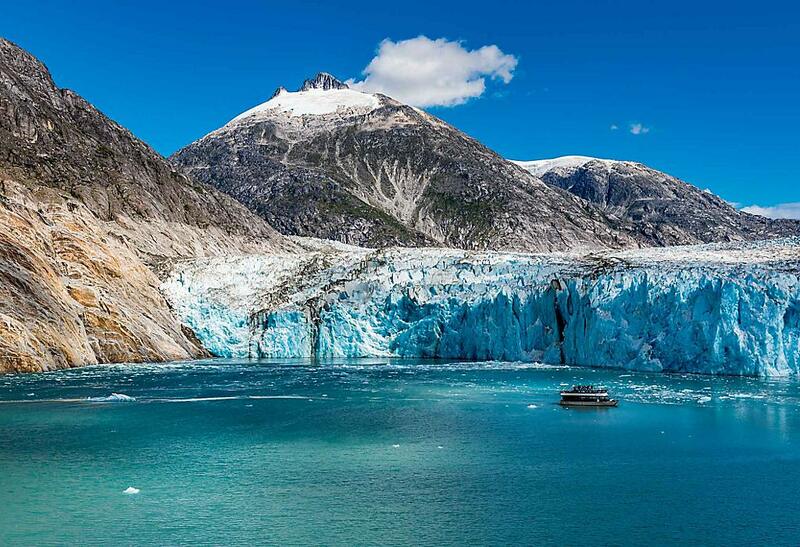 You have always wanted to go to Alaska, right? Well now is the time! 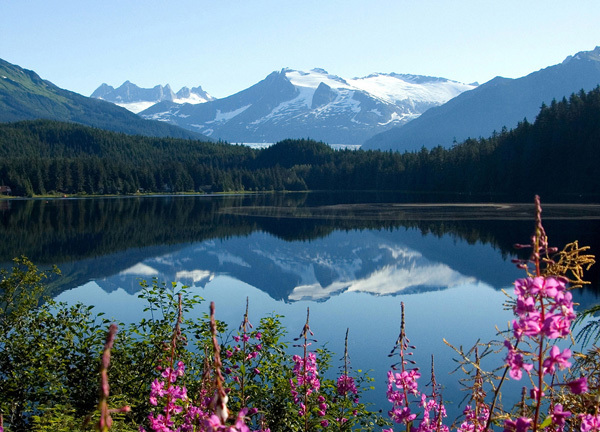 A wonderful way to see Alaska is on a quilting cruise. 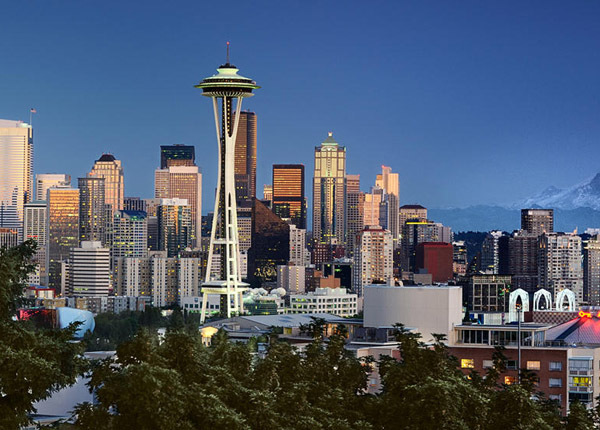 We will explore Juneau with the glaciers and the beautiful scenery, Skagway with the train and the quaint little town, and Victoria with Buchardt Gardens and so many things to do and see. Alaska has some great quilt shops as well that we will visit. If this is not enough, we will be sewing on the 13th deck in a Conference Center with floor to ceiling windows. What a great way to enjoy our sewing and experience the beauty of the Alaska wilderness. I hope you can join us on this incredible quilting adventure! Tiffany is a wife to Scott and a mom to 3 grown kids. 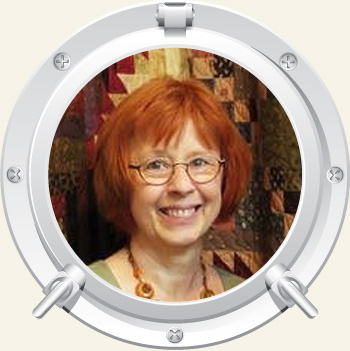 She has a passion for quilting (designing, piecing, hand applique and machine quilting). She has been quilting and teaching for more than 20 years. Her quilts have been featured by numerous publications, including The Quilter Magazine, Modern Quilts Unlimited and Keepsake Quilting, and she’s worked with various designers to create fabric collection-specific quilt patterns. 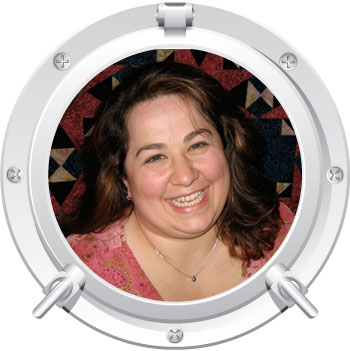 She has developed The Goddess Tool and Block of the Month patterns that utilize that tool. Recently she became the proud owner of a brand new long arm quilting machine. She declares herself a Quilt Addict! She designs and publishes under the name: Needle in a Hayes Stack. Heidi is known for her fun and whimsical quilts and fabrics which she often makes in dramatic, bright colors. She also has an excellent reputation for writing clear and easy to follow instructions. Heidi designs a large number of project sheets featuring fabric lines from national companies such as Andover Fabrics, Blank Quilting, Michael Miller, Timeless Treasures and Henry Glass. 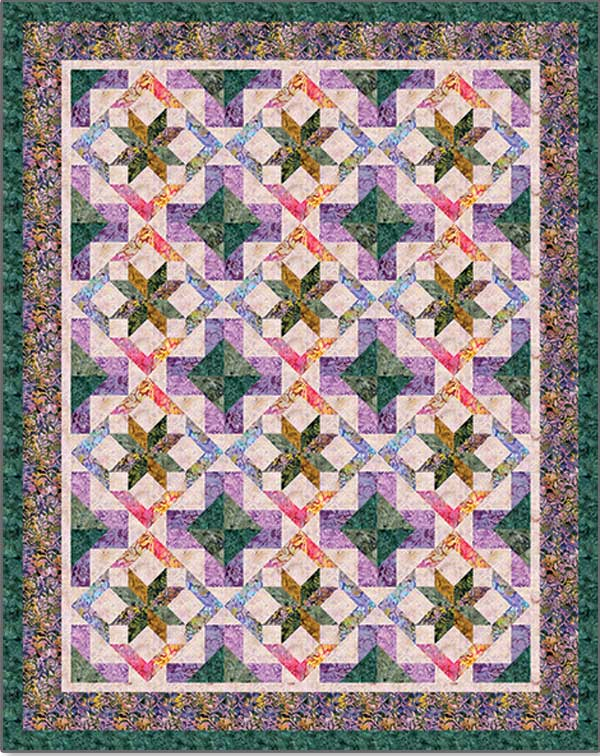 She also designs quilt patterns for a variety of popular quilting magazines such as Quiltmaker, McCall’s and McCall’s Quick Quilts. In addition she has completed five books; Quilted Whimsy, Bold Batiks and Dazzling Designs for Leisure Arts; for C&T Publishing she has written Pop Up Paper Structures; for F&W Media, Fabric Jewelry-Wrapped, Braided and Sewn, published in 2009 and designs fabric for Fabri-Quilt. Heidi spends most of her time designing, giving lectures and running workshops. When not traveling she enjoys staying at home in Arizona with her husband Matthew. Quilting is a family affair for Nancy. She joined forces with her mom, Gladys, who had her own handmade purse business called Glad Creations. Nancy added a couple hundred bolts of fabrics, a few classes, and Glad Creations Quilt Block was born. 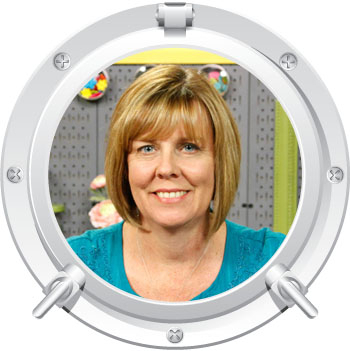 She now runs the shop with partner and sister, Susan Dyer. In 2016 they will celebrate their 40th year in business. Nancy’s quilting expertise runs deep. 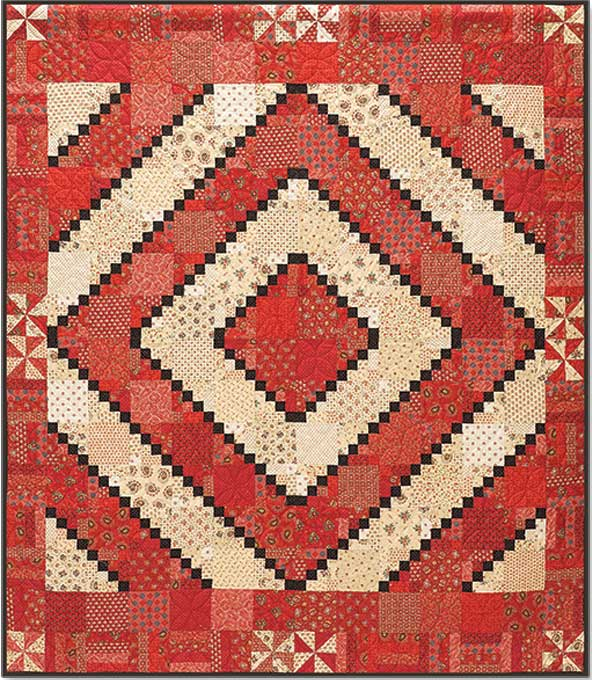 “I started piecing and quilting traditionally – by hand with cardboard templates – and moved into rotary cutting, machine piecing and machine quilting.” As tools and techniques evolved, Nancy mastered every aspect of traditional to modern quilt making. Her favorite part of the process, though, is machine piecing, which is reflected in the nearly 100 patterns she and Susan have been designing since the 1980’s. “We specialize in designs using simple parts that have a complex, scrappy overall appearance.” Each design starts as a mystery quilt and then becomes a pattern to be sold in shops around the country. Nancy looks forward to working with you on one of her designs! We are sure you will love this gorgeous quilt. It's interesting turn on strip piecing make it come together in a jiff. So, you might be able to finish this one while onboard. There are loads of layout possibilities. The variation in design make it intriguing and unique. We can't wait to see what your version will look like when you are finished. We will be using the Jingle Pop fabrics from Hoffman Fabrics. These strips are holiday but don't have an overbearing Christmas look to them. You will love them! Finished Size: 72" x 72"
Create this stunning quilt to remember your amazing trip to Alaska. The colors of Alaska inspired the fabric choices to glow like the northern lights. 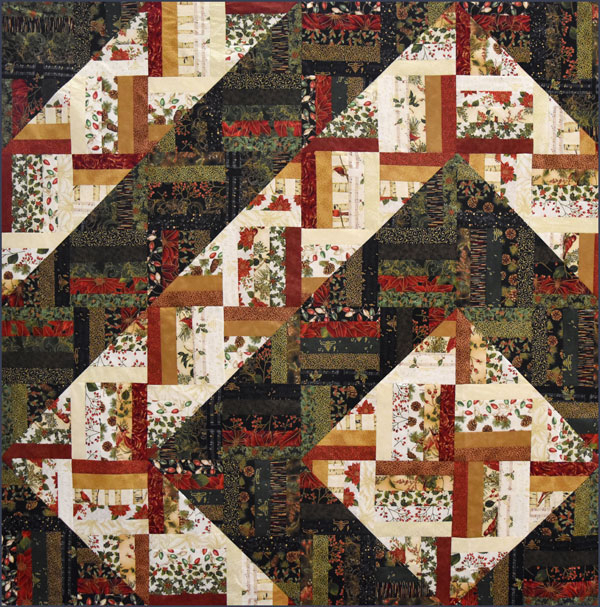 The quilt is made with one block design that uses all the colors in the block. 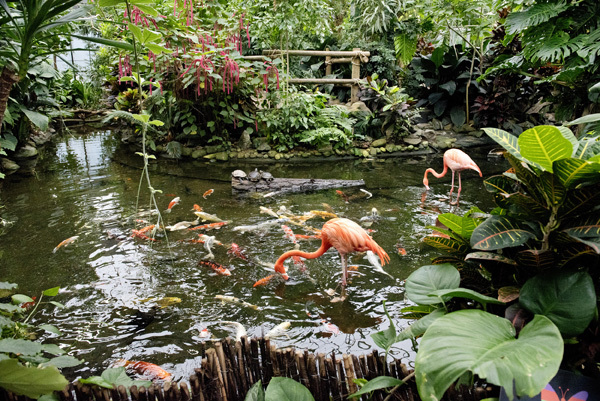 The blocks are made from flying geese and half-square triangles to make them a snap to complete. Heidi will show you a variety of rulers and share some tips and tricks for easy piecing. Create a momento of your great northern adventure. Finished Size: 62" x 78"
This easy quilt made up primarily of squares and rectangles with a few pinwheels added for interest. It will sew up quickly using strip sets. The fun comes when you start laying out your blocks. These half light/half dark blocks can be arranged in so many different ways! You can arrange your's Any Which Way! Our incredible Sail 'n Sew fabric pack includes all of the fabrics and patterns for your projects and they are pre-cut so all you need to do is sit down and sew! 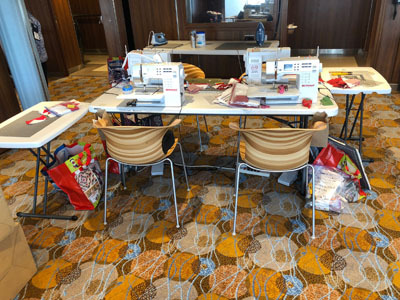 The price of the Sail ‘n Sew fabric pack is $395.00 and it includes includes the fabric and patterns (or book if applicable) for all three of the projects for this cruise. If you would like to buy individual kits, please call for pricing. If you would like a Sail ‘n Sew pack, just let us know when you make your Reservation and we'll have a kit waiting for you on the ship. Order early as supplies are limited. If you choose to bring your own fabric, please bring it precut and ready as we do not allow time for cutting during class. You will find the cutting instructions in each pattern that can be ordered here: Northern Lights, Rockin Rail Fence, and Any Which Way.